We didn’t think it was possible, but one of our favourite wedding updos – the ever classical and always in-style (as the French so often are) French twist – has been elevated to a whole new romantic level. The updated French twist is everything we love about wedding hairstyles and more. The traditional twist has embraced the relaxed and romantic updo fashion we’re seeing everywhere. With perfectly imperfect tresses escaping the formal structure, restrained only by the most exquisite bridal combs and pins – the overall effect is pure romance. So let us introduce you to the updated French twist for your wedding updo. The French twist has been flipped on its head – literally. Rather than culminating at the crown, the nape is the focal point, baring resemblance to the ever popular nape knot updo. If you have thick or very long hair, this French twist version will be perfect – eliminating the pain of all those pins trying to fight against your luscious locks and gravity. How fabulous is the juxtaposition of classical hairstyles and untamed tresses? It just works! The relaxed – almost undone – nature of this style softens the overall look. What’s more, if some hair does miraculously escape the pins and hairspray holding it just so; say, after a few drinks and a turn on the dance floor; no one will ever know! Renowned for their impeccable taste, the French exude restraint when selecting accessories. To embrace the French way, consider elegantly hand-crafted, and one-of-a-kind bridal combs or pins. The perfect accessory is sometimes a delicate accent – a hint at finery, without the pomp. 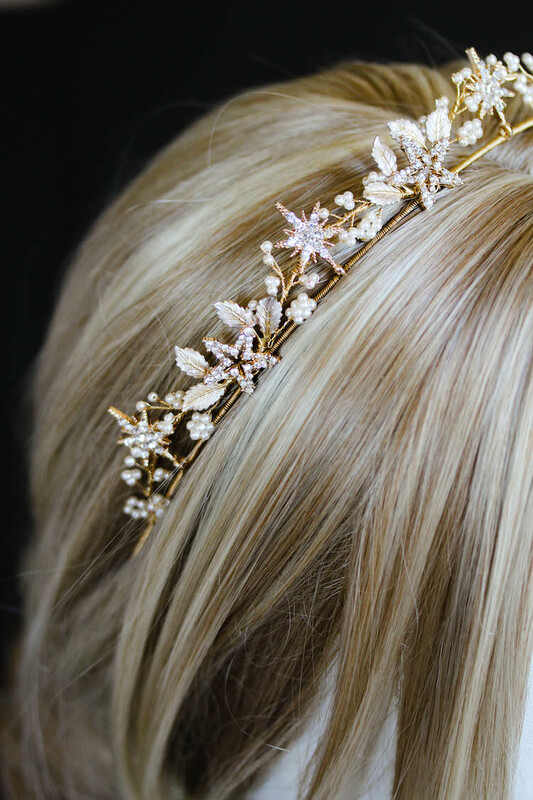 Chat to our team – we’d love to collaborate and create you, your perfect exquisite bridal accessory.